So, your troop has decided to participate in the program with us. We can't wait to work with you! 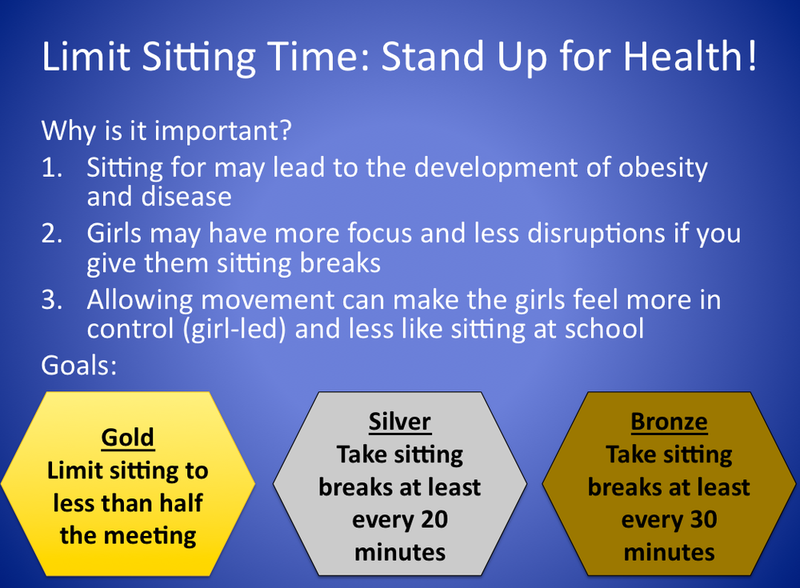 Just follow the easy step-by-step instructions below and you and your troop will be well on your way to promoting health and wellness in the Girl Scouts! After you've finished the steps below, please contact us and let us know what you think. Also, make sure to visit our other pages to find additional materials, such as healthy snack ideas, to promote wellness in your troop meetings. 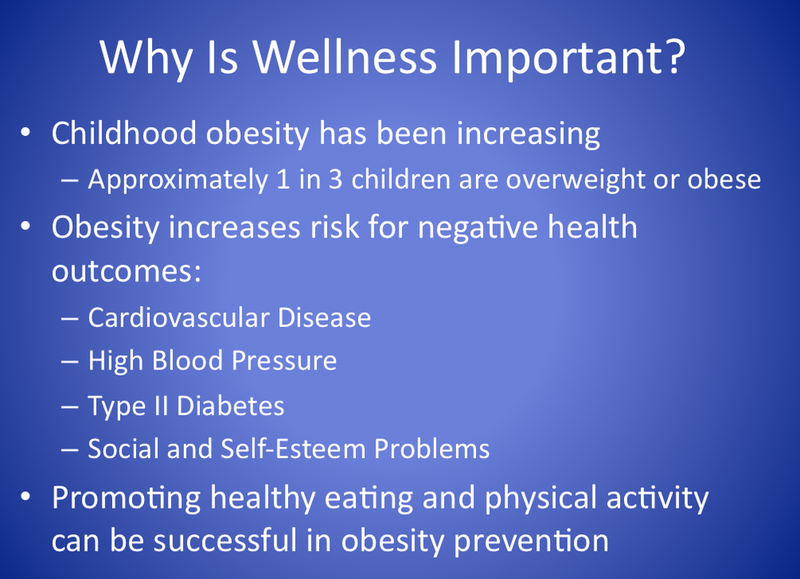 Step #1: Start by following along with our Leader Wellness Training slides below in order to learn more about why wellness is important for children, as well as learn about what areas of health and wellness we would like to promote in the Girl Scouts setting. Step #2: Allow for some time for personal reflection. Think back to your last troop meeting and try to assess what activities you did at your meeting, how much time you spent on each activity, as well as how long the meeting lasted. 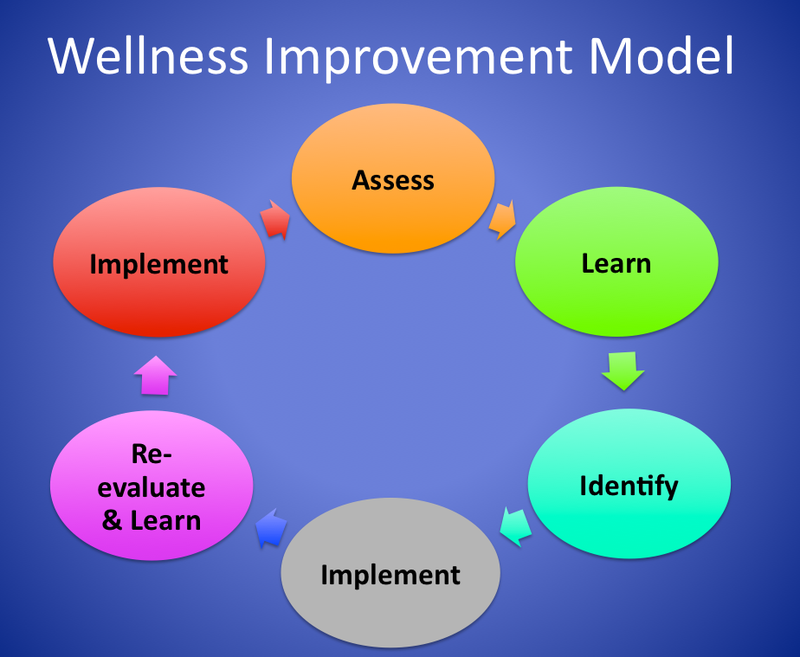 Step #3: Select a goal, or create your own, for each of the five categories of wellness. Make sure your troop goals are realistic and will be attainable during your troop meetings. Step #4: Fill out your own 'Our Troop Wellness Goals' sheet. Click HERE to download and print your own copy of the Troop Wellness Goal sheet to fill out for your troop. 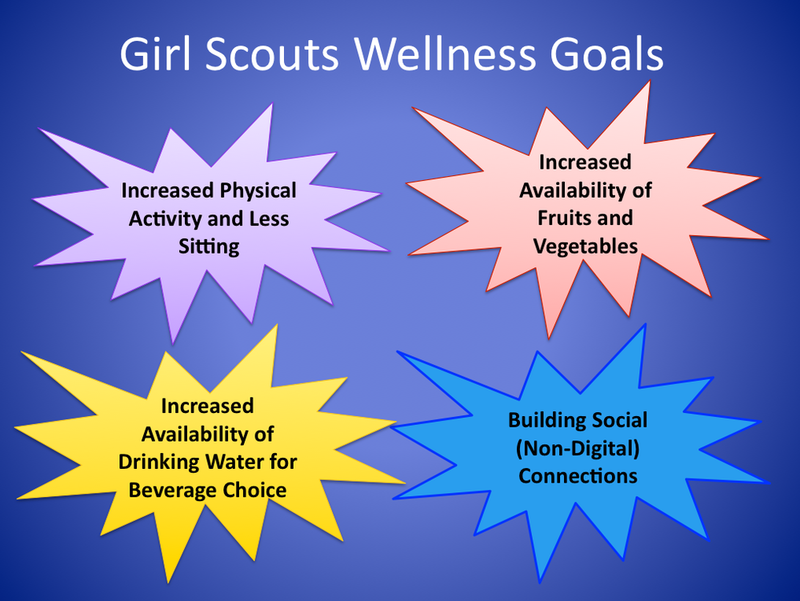 Step #5: Introduce your wellness goals to your troop. 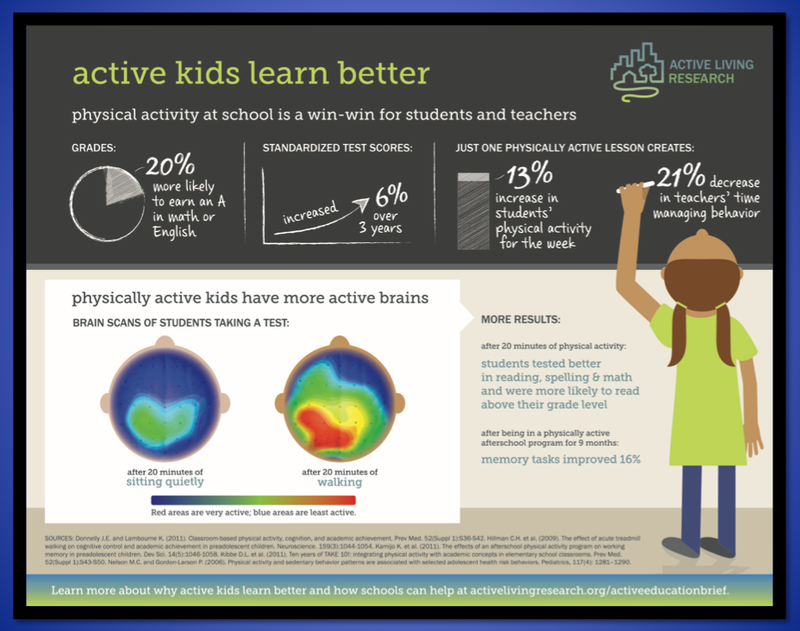 Discuss why the goals are important and get them involved with planning what type of activities they would like to do in the meetings that promote healthy behaviors. Step #6: Brainstorm FUN activities to promote health and wellness in your troop. Start by visiting our resources page to find ideas such as healthy snacks and physical activities to do in your meetings. Step #7: Try the activities out in your meetings! Keep coming back and evaluating your troop wellness goals and make sure to adjust your goals as needed.